Above: My complete collection of Lani Yamamoto books. Lani Yamamoto’s books have been a big inspiration to me. 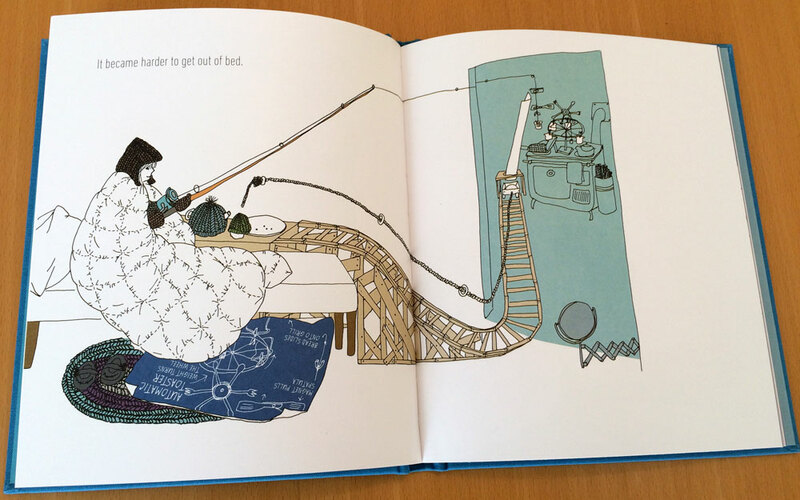 I love her books on every level, for the topics they tackle, for her simple line illustrations that speak volumes, for her inventiveness and for her extraordinary sense of color. Many moons ago I worked at a bookstore and told anyone that would listen that they should buy the Albert series. She lets her characters ask big questions and find solutions through their own exploration. I love how the books in the series are not simply noted by a 2 or a 3 after the word, rather a squared and a cubed, which gives you a hint of the exponential power of the kinds of things Albert thinks about. In the first Albert he runs out of things to do on a rainy day, until he opens his mind up to bigger things. In Albert2 he struggles with the speed at which things are moving and ever changing.This brings him to rethink stillness. Albert3 takes on the notion of “being a big boy” when his baby sister arrives. He ponders the concept of big and small. 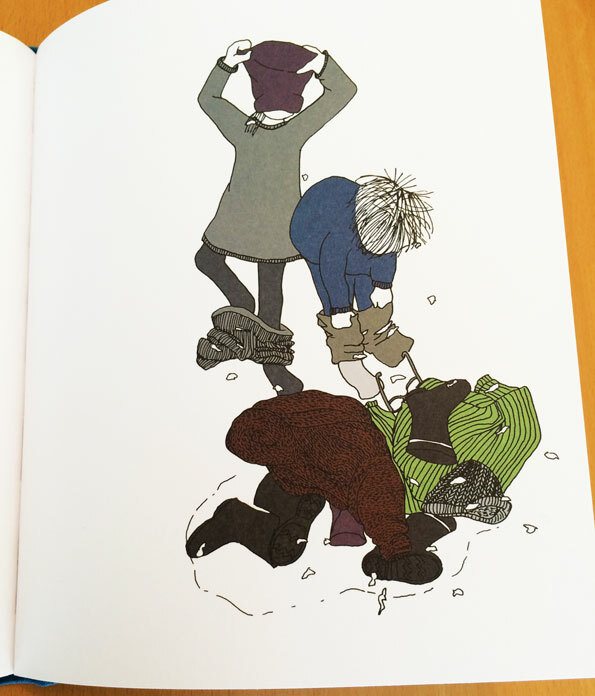 Adults are present in the Albert books but they have no faces, it is solely about Albert’s connection and understanding with the world around him. Yamamoto lets the children speak and think for themselves. In Stina children inspire each other to make a much needed change. 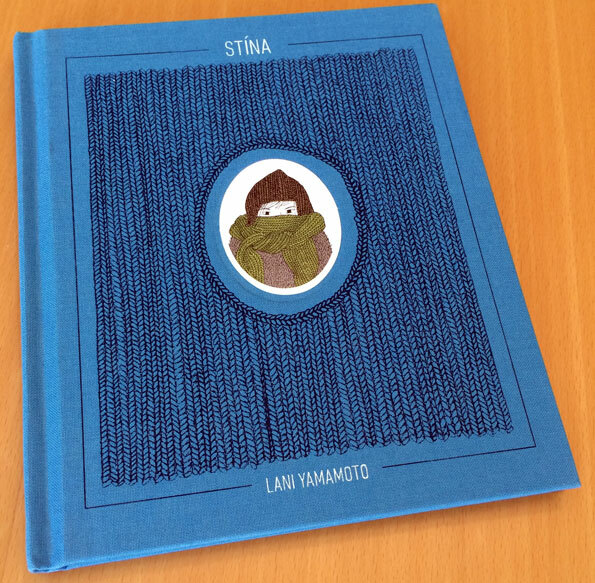 Stina is a magical book, starting with its cloth cover. Stina struggles with the cold and invents every way possible to keep herself warm, nearly to the point of complete isolation. She plays with the idea of cold and warmth and how two people can feel those things so differently. 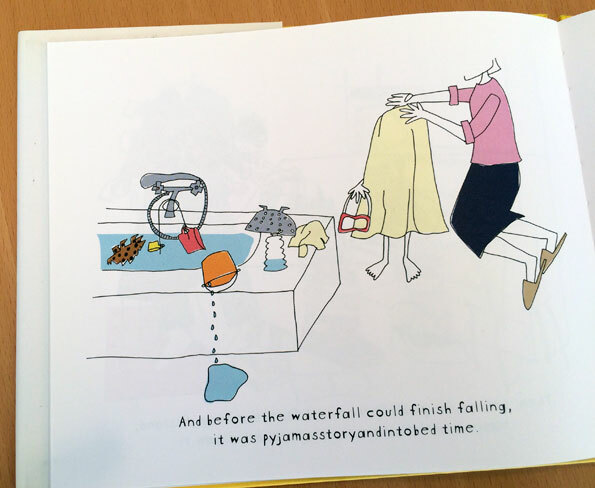 Lani Yamamoto’s books are never preachy, but they do lead kids to question and discover the world around them. Most of all, she does so many big things in such a subtle quiet way. Albert in the first Albert book in the throes of a rainy day. (Click to enlarge). Opening page of Albert3 . Look at that little pile of dinosaurs. She knows exactly when to use words and when to let the pictures speak for themselves. 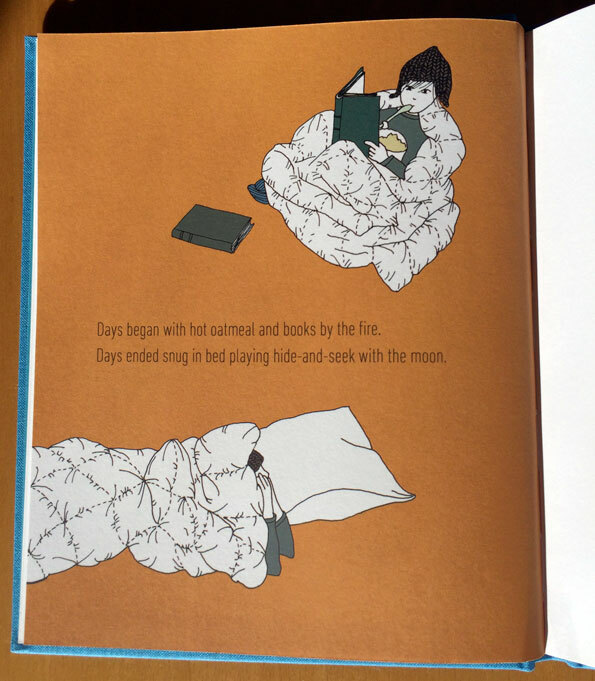 This page from Stina has many of her strengths at once: wordless, pleasing color palette, strong use of white space. From Stina. (Click to enlarge). From Stina. That duvet looks so comfy! (Click to enlarge). Over the years I have failed in my attempts to contact her. She may prefer it that way. After all, she doesn’t seem to have a website. (But, if anyone has a way to reach her, I would very much love to interview her here). 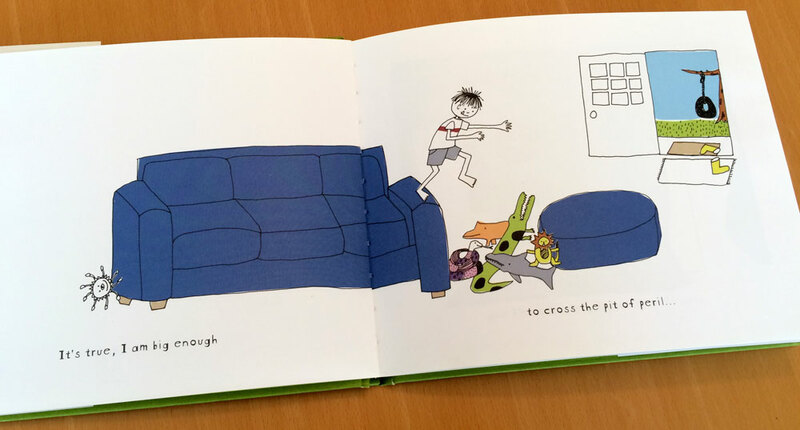 Thank you, Lani Yamamoto, for making these books! I cannot wait to see what you do next! Here is a video of her describing the book Stina for which she won the Nordic Council Children and Young People Literature Prize. 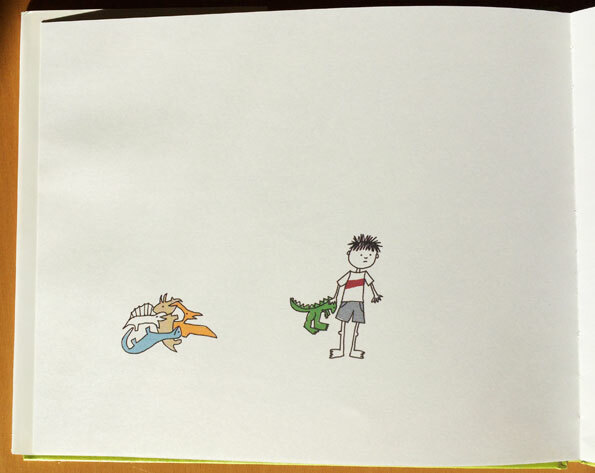 Bonus pages for making it to the end of the post! From Albert2. Look at that phrasing! Page from Stina. Look at that mustard with greys and greens. Wonderful insight about Lani Yamamoto’s splendid works!! 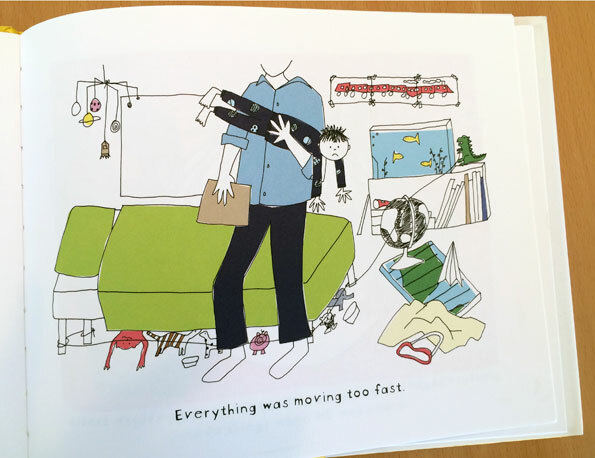 Great insights on Lani Yamamoto as writer and Illustrator!